We are huge fans of frittatas on busy weeknights. 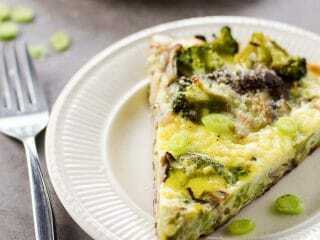 This broccoli frittata saved us on a recent Monday night after a worky-worky day. The thing is, just because a frittata is routine doesn’t mean it needs to be boring. Dinner should never be boring! I’m not sure I’ve ever made the same frittata twice, and that helps to keep things interesting. 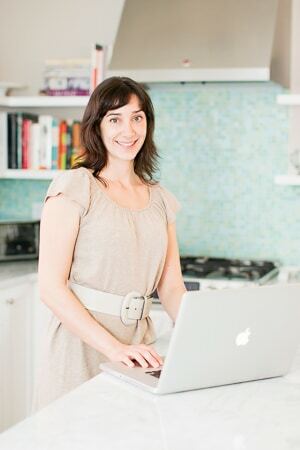 But I thought I’d spend a minute talking about the other key to “maximizing your family’s engagement with dinner,” as a social media consultant might say if she were just on the brink of hangry. You don't need a recipe to make a great frittata, but we have quite a few if you'd like one anyway. How about this one or this one? Let’s keep it short and savory. The password is…umami. Big surprise, right? Incorporate a few handfuls of umami-rich ingredients, and you’ll never look back. In this so-called broccoli frittata, which is actually so much more, I’ve umami-bombed with (1) shiitakes (2) capers and (3) pecorino. That’s all it takes. Aww yeah. In other news, we’re toggling between soaking up the last rays of summer sun and getting ready to head back to school. Our town’s annual firemen’s fair starts tonight, and I fully plan to ride the rainbow just shy of nausea. I’m counting down the days until I turn 40, and I look forward to kicking things off right. More to come. We do a lot of frittatas for easy weeknight meals. They're never the same twice, but they often have a handful of the same super-savory elements that take them from...I'm just gonna say it...drab to fab. This one is definitely fab. Makes great leftovers, too. Preheat the oven to 400°F with a rack in the center. In a 12-inch frying pan, heat the oil over medium-high heat. Add the onion along with a sprinkle of salt and cook, stirring occasionally, until softened, about 5 minutes. Add the shiitakes and cook until lightly browned and reduced in volume, about 5 minutes more. Add the capers and broccoli and cook until warmed through. 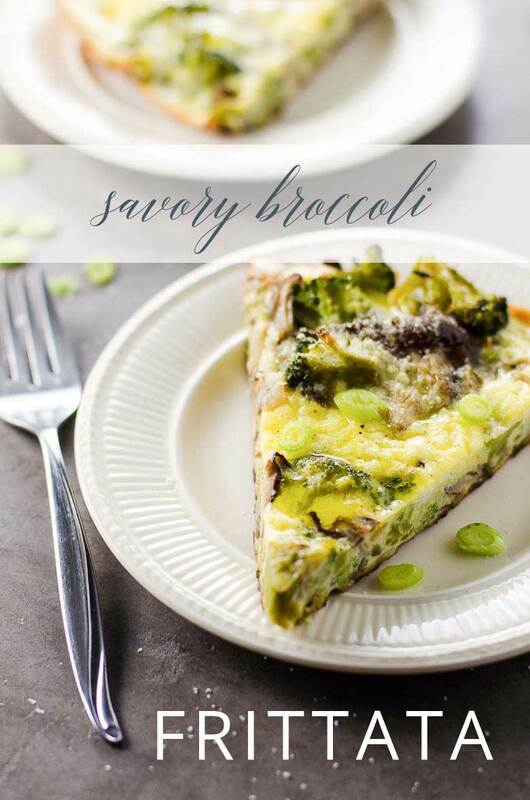 Beat the eggs and cream in a bowl and pour evenly over the vegetables in the frying pan. Sprinkle with the cheese. Transfer to oven and bake until set, about 15 minutes. Cut into wedges and serve warm or at room temperature.